The CSMR 2013 proceedings will be published in IEEE Digital Library. Tools, formalisms and methods supporting the evolution of software systems, software architectures and software models. Experience reports on maintenance and reengineering of large-scale systems. Empirical studies in software reengineering, maintenance, evolution and renovation. Education-related issues to evolution, maintenance and reengineering. Research papers should describe original and significant work in the research and practice of software maintenance, evolution, reengineering and renovation. Theoretical results, case studies, empirical research and experiments are particularly welcome. Papers must not have been previously accepted for publication nor concurrently submitted for review in another journal, book or conference/workshop. Full paper submissions, not exceeding 10 pages, should be uploaded electronically in PDF format via the CSMR submission site. All papers will be reviewed by at least three members of the program committee. All papers and reviews are accessible to all PC members (exempt those reporting a conflict of interest) to facilitate a comprehensive and open minded online decision on paper acceptance. For further details contact your program chairs Anthony Cleve and Filippo Ricca. The goal of the Early Research Achievements (ERA) track is to provide researchers and practitioners with a forum for presenting novel ideas in early stages of research. The proposed ideas and promising work submitted to this track do not require to have been fully evaluated. The topics of interest for this track are the same as the main research track and concern all the topics in the research and practice of software maintenance and evolution. Submissions must be in English and conform to the IEEE proceedings style. They must be four-page long, including all text, references, appendices, and figures. Papers must be submitted electronically as PDF files via Easychair. Submissions will be evaluated on the basis of their originality, importance of contribution, soundness, evaluation, quality of presentation, and appropriate comparison to related work. Emphasis will be put on the originality and timeliness of the proposed contribution; a full empirical evaluation of the proposed ideas is not required. Each submission will be reviewed by at least two members of the ERA Program Committee. For further details contact your ERA track chairs Andy Zaidman and Ali Mesbah. The CSMR 2013 Tool Demonstration track is an important part of the conference with the goal of allowing live presentation of tool prototypes. Since tools are central to research in software maintenance and reengineering, tool demonstrations have a prominent role within the conference and add to the visibility of the associated research. Tool demonstrations are expected to present tools that implement a research approach. Any of the CSMR 2013 topics of interest are appropriate areas for tool demonstrations. Each submission will be reviewed by at least two members of the tool demonstrations program committee. The committee will review each submission to assess the relevance and quality of the proposed demonstration. Submissions should describe their relevance to software maintenance, discuss the level of maturity of the tool, and reference the foundations upon which they are based. Accepted tool demonstrations will be allocated 4 pages in the conference proceedings. Demonstrators will be invited to give a presentation that will be scheduled into the conference program. provide a URL from which the tool can be downloaded, with clear installation steps. All examples and scenarios presented in the paper and appendix should be replicable directly. For further details contact your Tool Demonstrations chairs Xavier Blanc and Jacques Klein. The CSMR doctoral symposium provides an exciting environment for PhD students. They can share not only their results, but also their vision of the future. Next to the authors of the accepted abstracts, we invited a number of senior experts in the field to listen to the students and to engage them in discussion. We exchange feedback and experiences, in order to help each other further our careers as researchers. Accepted papers will be presented at the track, in front of expert panel members and other Doctoral Symposium participants. Each presentation will be followed by questions from the audience and comments/feedbacks from the panel members. In addition, there will be general discussion addressing various issues on PhD work and research experience in general. The Doctoral Symposium participates are invited to submit questions and issues they would like to have discussed as part of the panel session before the PhD Forum. a description of the adopted evaluation method and the result obtained so far; and the expected contributions of your PhD research. 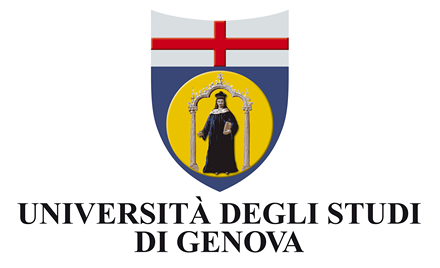 For further details contact your doctoral symposium track chairs Massimiliano Di Penta and Radu Marinescu. Today’s European projects, try to bridge the famous gap between research (e.g., academia) and practitioners (e.g., industries). These projects, in fact, can allow the research community to practice with their research ideas in real industrial environment while, at the same time, can raise the need for new and different research inspired by the needs of industry. The European Projects track (EU track) of CSMR 2013 provides an opportunity for researchers involved in ongoing and recently completed European research projects (both national and international) related to the themes of the conference to present their projects and disseminate the objectives, deliverables, or outcome of these projects. Hence, on one side, the EU track offers the possibility to project participants to share and disseminate their project results. On the other side, it allows the CSMR participants to get a better insight in which research projects are currently going on in Europe within the field of software maintenance and reengineering. 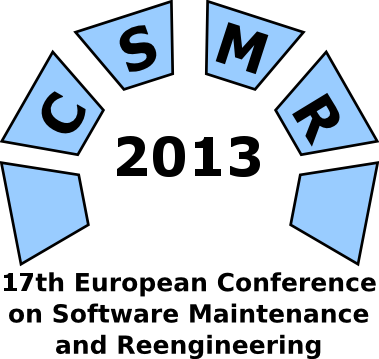 The EU track of CSMR represents a consolidated forum where projects, researchers and industrial practitioners can share experience, ideas and knowledge. The topics of interested of the EU track correspond to the ones of the CSMR 2013. All submissions describing projects that involve aspects concerning the software maintenance and evolution are welcomed. Special interest goes to submissions that describe how the projects results have been assessed and evaluated. Each submission must be a 4-page paper formatted according to the IEEE Conference Publishing Services formatting instructions (i.e., the same used from the main CSMR conference). All submissions must be in English. All submissions will be peer reviewed by three members of the international Program Committee of the EU track. The reviewers will assess the completeness, the quality of and the relevance of the submission for the target audience. Each accepted submission will be part of the CSMR conference proceedings. At least one author of the accepted submission will be registered at the conference and present the accepted submission during the EU track of CSMR 2013. For further details contact your European track chairs Alessandro Marchetto and Tanja E.J. Vos. The aims of the Industrial Papers track of CSMR 2013 is to share experience and knowledge out of industrial projects and studies. Both practitioners and researchers are encouraged to contribute results, obstacles, and lessons learned regarding maintenance and reengineering in real world settings. We welcome submissions of experience reports, industry surveys, action research, empirical studies involving industry data, as well as evidence based identifications of unresolved research challenges associated to software maintenance and reengineering. Submissions must be in English and conform to the IEEE proceedings style (i.e., the same used from the main CSMR conference). They must be four-page long, including all text, references, appendices, and figures. Papers must be submitted electronically as PDF files via Easychair. Submissions will be evaluated on the basis of industry relevance, originality, soundness, empirical and/or practical validation, quality and consistency of presentation, and appropriate comparison to related work. Special emphasis will be put on the relevance of the proposed contribution to practitioners. For further details contact your industrial track chair Joost Visser. Workshops are a good venue for students to get initial feedback on their first research endeavours, and for more experienced researchers to brainstorm with their peers about emerging topics in their field. We hereby solicit proposals for workshops to be held in conjunction with the main CSMR 2013 conference. Workshops can be full or half day, and devoted to a specific topic of interest in the software maintenance and reengineering domain, ranging from theoretical underpinnings to practical applications or case studies. Workshops should have a focused topic, provide opportunity for lively discussion, and attract enthusiastic participants. Workshop organisers are responsible for their own submission, reviewing and publishing arrangements. other issues that could be relevant to the workshop. Workshop proposals will be judged on originality, relevance to CSMR 2013, expected level of interest in the topic, and the organizers' ability to lead a successful workshop. Workshop proposals should be e-mailed to both chairs. For further details contact your Workshop chairs Walter Cazzola and Michel Wermelinger.